But will this happen first in China, Europe, Japan or the U.S.? President Donald Trump's administration has outlined some of its agenda, and has said nothing as far as supercomputing is concerned. Will it participate in the global race to develop an exascale supercomputer? It's been silent on this. The supercomputing race is going to turn very real for the Trump administration. An exascale supercomputer -- a 1,000 petaflop system -- will likely be delivered somewhere in the world before Trump's first term ends. This may be a Sputnik moment for the new administration. The stakes appear high. Supercomputing is seen as critical to national competitiveness because research and product development are increasingly done virtually. Europe and China, in particular, want to use their own, homegrown technologies to create exascale systems. They see this as a way to improve the ability of their IT sectors to compete with U.S.-based companies. 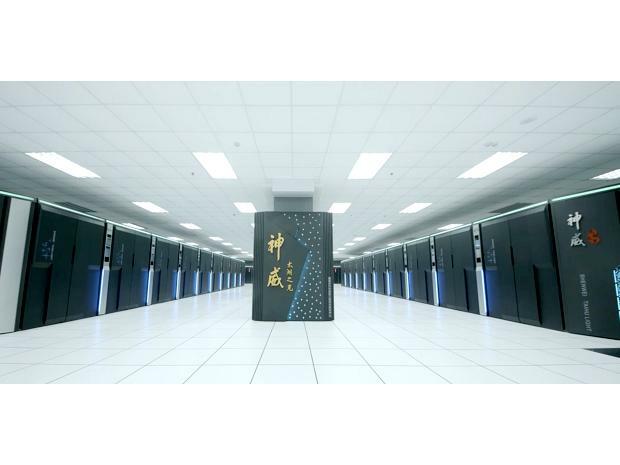 China and Japan both have plans to deliver an exascale system by 2020. Europe is well in the race and has targeted 2022, but it could deliver something earlier. China is using its own microprocessors, and one of the systems in development in Europe uses ARM chips. Europe has committed 700 million euros (US$749 million) to supercomputing research, and plans to have a system "based on EU technology" by 2022, it reported in a document last year. The Obama administration didn't move as swiftly on exascale as some in the supercomputing community would have liked. While development of the next generation of supercomputers did eventually become a priority, the system delivery target date is 2023-24, well behind China and Japan. But in the final weeks of the Obama administration, a new plan emerged to produced the first exascale system by 2021. The U.S. Department of Energy's Exascale Computing Project "is now a 7-year project, not a 10-year project, but it will cost more," said Paul Messina, a computer scientist at the Argonne National Laboratory and head of the project, in an email Thursday. The improved timeline was accomplished by tightening parts of the schedule and increasing the budget. According to DOE planning documents, the cost range with the new schedule is $3.5 billion to $5.7 billion. The previous estimate, for the longer time frame, was $3.1 billion to $5.1 billion. But the Trump administration and Congress will have to go along with the changes. The world's fastest system today is in China and is capable of speeds of about 125 petaflops. A petaflop system can perform one quadrillion arithmetic operations per second. The goals of the U.S. exascale project are to "contribute to the economic competitiveness of the nation" and "support national security." But another goal is to develop a software stack, in collaboration with vendors, that can be used on smaller systems by industry and academia, according to planning document. This will help ensure "continued American leadership in architecture, software and applications to support scientific discovery, energy assurance, (nuclear) stockpile stewardship, and nonproliferation programs and policies," the documents state.